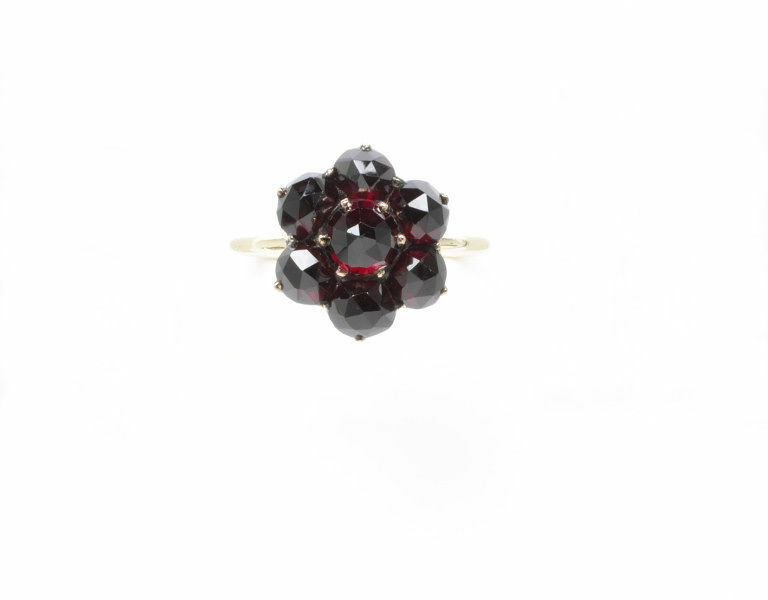 This ring forms part of a collection of 154 gems bequeathed to the V&A by the Reverend Chauncy Hare Townshend, a cleric and poet. Sir A. H. Church gave additional specimens in 1913. He also compiled the first catalogue Precious Stones: A Guide to the Townshend Collection. The first edition appeared in 1883. The stones are mounted as rings, although they may not have been intended to be worn. The Reverend Chauncy Hare Townshend bequeathed his important collection of 154 gems to the South Kensington Museum (now the V&A) in 1869. 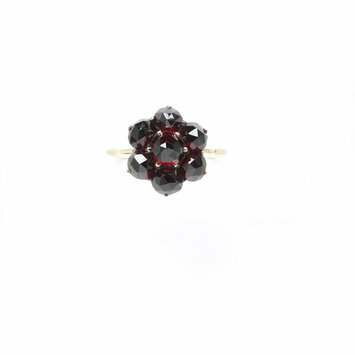 Although the collection is not as comprehensive as that found at the Natural History Museum, it is of particular historic interest as its formation pre-dates the development of many synthetic gemstones and artificial enhancements. All the stones were mounted as rings before they came to the Museum, mainly in a series of standardised gold settings, often of the coronet or galleried type. 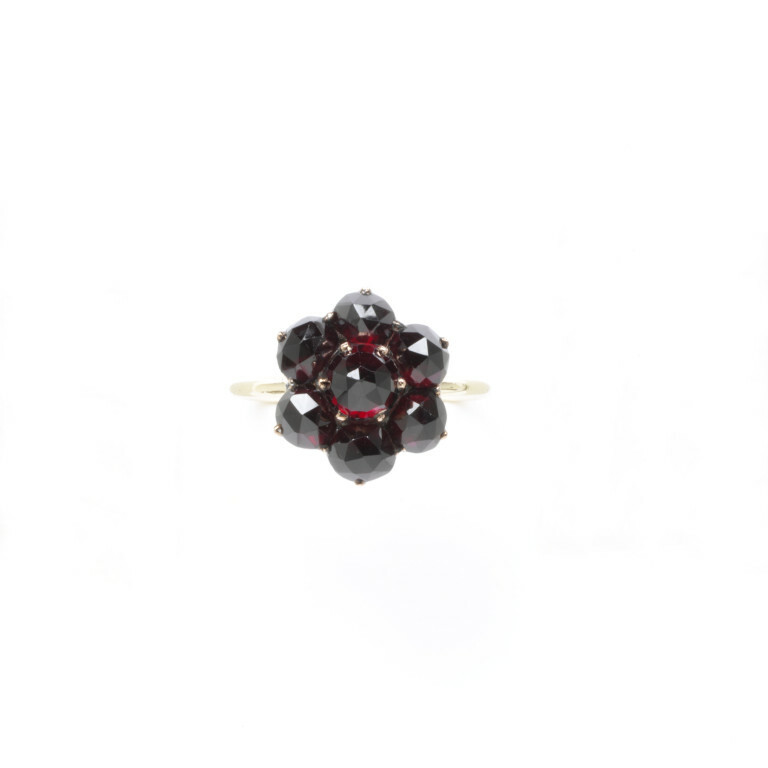 However, several specimens are set with greater elaboration, with diamond borders surrounding the central stone. Some of these were originally in the possession of Henry Philip Hope (d.1839), a brother of the novelist and antiquary Thomas Hope (c. 1770-1831). H.P. Hope formed a famous collection of diamonds and precious stones which was largely inherited by his three nephews. His collection, which included the Hope blue diamond, now in the Smithsonian Institution, Washington, was catalogued by B. Hertz in 1839. Townshend is recorded as having made purchases from it and his acquisitions are noted below. He also seems to have remounted several of his purchases, in whole or in part. Clare Phillips, Jewels and Jewellery, V&A Publications 2000. Attribution fields for date and place refer to the mount only.